SRINAGAR, SEPTEMBER 13: JW productions Pune in collaboration with Humanity Welfare organisation Helpline NGO & Hope disability Centre, Ganderbal organized a programme on the theme of "BulandHosla-Har Saans Mai Junoon" for the specially-abled persons of the valley which was sponsored by Pune based JW Productions in collaboration with Departments of J&K Information and Public Relations and Tourism Department at Nigeen Club today. International cricketer, Irfan Pathan was the chief guest on the occasion besides Dr. Aijaz Ashai was the guest of honour. Director General Social Welfare, Rukhsana Gani, Director Tourism, Tasaduq Jeelani, Joint Director Information Kashmir, Mohammad Ashraf Hakak, Producer JW Productions, Junaid Wani, Director HOPE, Marketing Manager Hyundai/Honda and senior officers of various departments besides other dignitaries of the civil society were present on the occasion. A large number of specially-abled persons came across the valley participated in the day-long programme started with the 100 meters wheelchair race in the morning which was flagged off by the Joint Director Information, Kashmir, Mohammad Ashraf Hakak. Later, a live painting competition and a Sufi Qwalli programme were also held on the occasion. The main aim of the event was to encourage the talent and bring smiles on the faces of specially-abled persons of the society. On the occasion, the speakers stressed the need for welfare and rehabilitation of physically challenged people so that they can also lead a dignified life. They said there is a need to create a barrier-free environment for the specially-abled persons, an effective mechanism be evolved for an inclusive survey of the disabled for need-based resource allocation and provisions in development schemes. 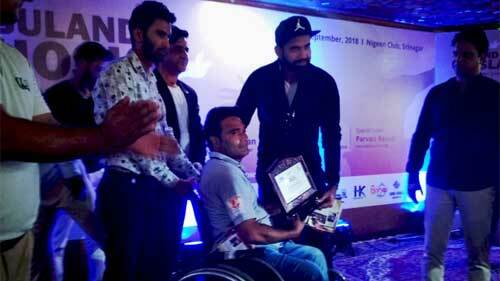 Addressing the gathering International Cricketer Irfan Pathan said that specially abled persons are also the part and parcel of the civil society. He appealed the government to implement all the schemes in letter and spirit which have been launched for the welfare of this section of the society. 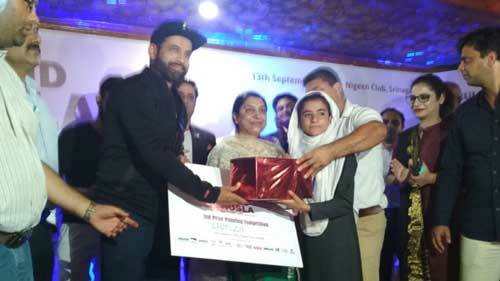 Irfan Pathan praised the energetic talent of specially-abled persons of the Valley. "It is a wonderful feeling to be in this part of the state which is known for its natural beauty," said Irfan Pathan, and added that the hospitality of the Valley is recognized worldwide. On the occasion, the Tourism Department organized a special Qawali programme sung by well-knownQawalShafiSopori for the entertainment of the specially abled persons. Won 1st 2nd and 3rd positions in wheelchair race.